Spend a minimum or RM35 in a single receipt from any outlet in Sungei Wang Plaza. 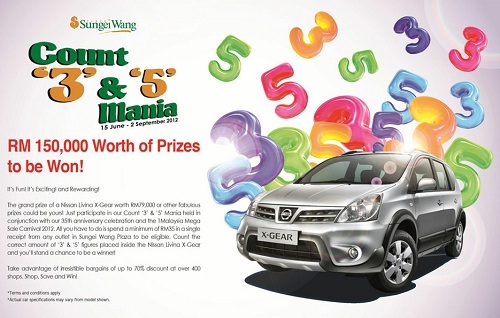 Count the correct amouth of '3' & '5' figures placed inside the Nissan Livina X-Gear. Visit Sungei Wang website for more details. 10 Reasons Why You Should Go Organic. Read more!